Experience art. Book a K-12 tour. 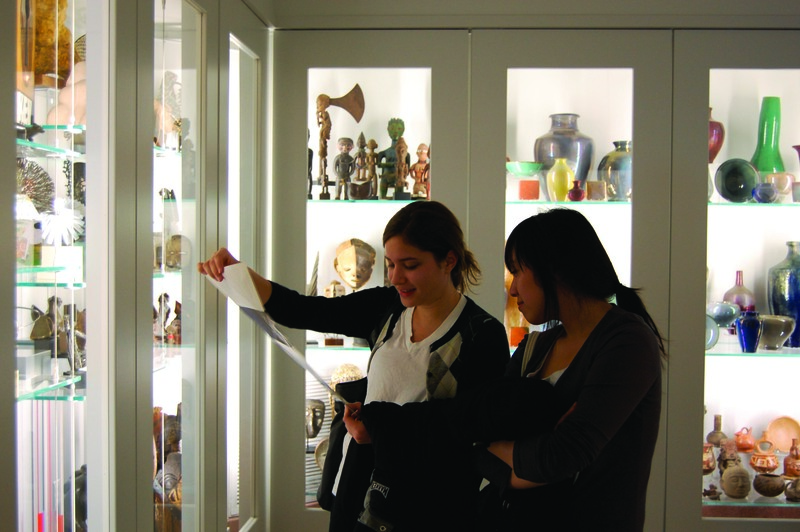 UMMA's Student Engagement Council ensures that U-M students have a voice at the Museum. UMMA is looking for volunteers for our Meet Me program. 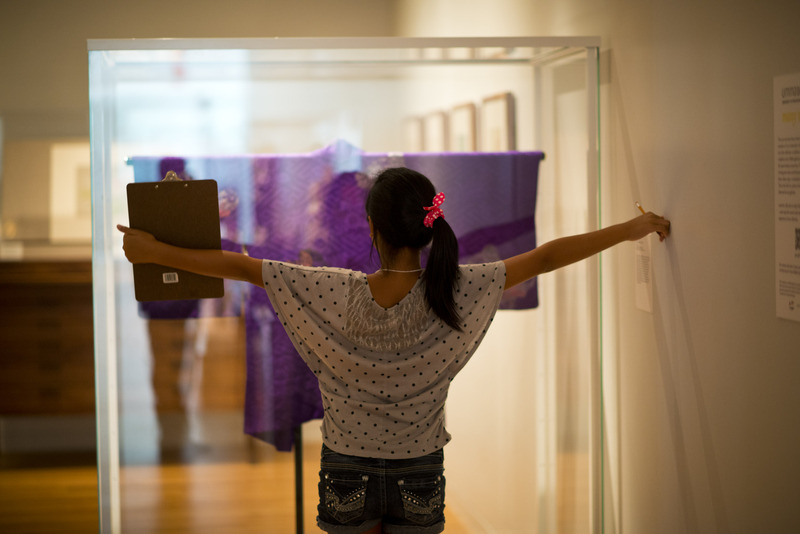 Join the conversation in the UMMA galleries, or take in a performance, lecture, or film. 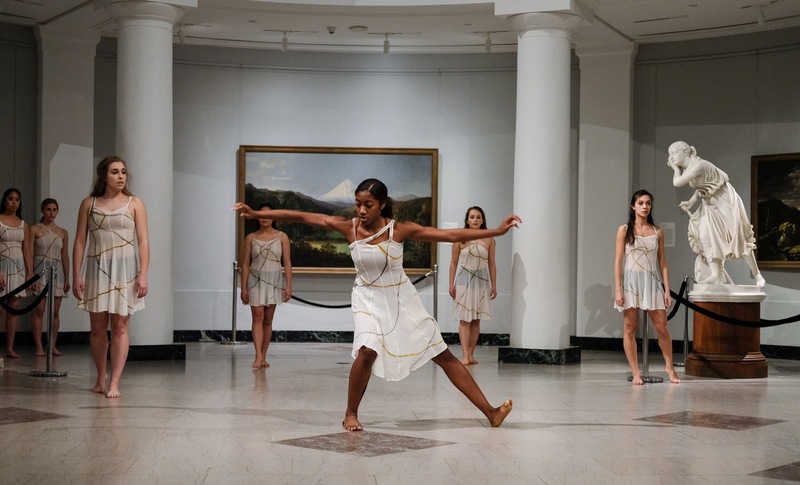 U-M students engage with original works of art. Experience art. Connect with people. Find personal relevance in the art of today. Look closely and discover ideas expressed in art throughout history and across cultures. Be challenged, and engage in active learning. The above are only some of the motivations that attracted more than 40,000 people to participate in both formal and informal learning experiences at UMMA. From U-M class visits and student events, to concerts, gallery conversations and lectures or family oriented programming like Storytime or Family Art Studio, UMMA offers visitors of all ages inspiring ways to dive deeper, relax and de-stress, or take time to be curious and wonder about all that art offers. What makes UMMA a unique part of the university community is the degree to which students are engaged with every aspect of the Museum—contributing in creative and imaginative ways that in turn have a substantive impact on UMMA’s public engagement and the visitor experience. Through the Student Engagement Council, and student docents, interns and research associates, UMMA shapes the scholars and leaders of the next generation. Every year, UMMA partners with student organizations to create a space for student ideas and voices. UMMA's commitment to student engagement is one of the reasons it is such a unique part of the campus community. Whether for U-M and other university instructors and students, for K-12 teachers and students, or adult learning, UMMA designs experiences to serve as catalysts for cross-disciplinary learning and “thinking through art.” UMMA offers diverse entry points to the art of today as well as from the global histories represented in UMMA’s collections and exhibitions. "Over the last eight years I have become even more convinced of the value of arts and medicine for each other. Our explorations of art with Ruth Slavin and others have been fruitful for so many important discussions—what do you do when you don't understand or don't like a patient—or when you encounter difficult, hard to understand patients." Joel Howard, physician, historian, and co-founder of the U-M Medical Arts Program. Since 2009, UMMA’s Deputy Director for Education Ruth Slavin has partnered with Michigan Medicine. In addition to her work as a core member of the Path of Excellence in Medical Humanities of the U-M Medical School, UMMA is an official partner of the Medical Arts program. This year, Slavin designed a three-visit sequence of arts experiences for third-year medical students as part of a research project to investigate the impact of arts experiences on empathy, resilience, and tolerance for ambiguity. UMMA has built partnerships across campus and beyond to offer the campus community and the public an annual array of dynamic and engaging public programs. These programs offer a broad range of opportunities to participate and explore, learn and create. Over four dozen partnerships ensure that what is relevant to today’s world is explored in and through art. Events include gallery conversations and lectures, concerts and performances, lectures and UMMA Dialogues, film screenings, classes, group tours, Storytime and Family Art Studio, as well as the Meet Me programs for people living with memory loss. Out of the Silence, A Narrated Concert to Honor Black Classical Musicians of the Past, presented on the occasion of the University of Michigan’s 2018 Martin Luther King, Jr. Symposium, featured a mix of spoken narrative and live music curated by two University of Michigan graduate students.